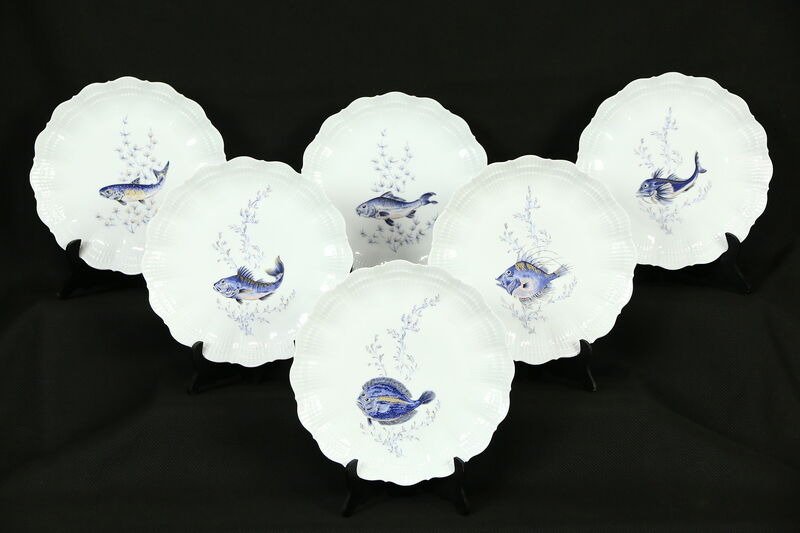 Signed, "Gireaud Limoges," a set of five hand painted French fish plates includes a free sixth plate with a chip. Individual designs have delicate gold decoration on these 1890's antiques. Size is 10 1/4" diameter. USPS Shipping is $30, signature required.